Multi-stranded steel core strings that produce a brighter tone quality. 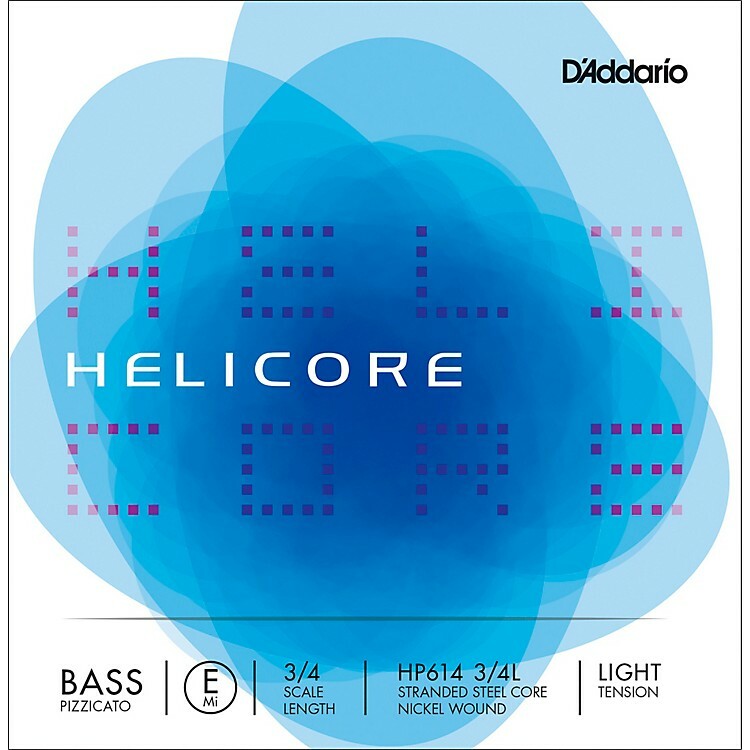 D'Addario Helicore Pizzicato bass E string is a multi-stranded steel core string that produces a brighter tone quality than the rest of the Helicore bass line. The core design makes for a string that is very easy to play under the left hand. Damping is reduced to create maximum sustain and "growl." Scaled to fit 3/4 size bass with a playing length of 41-3/4" (1060 mm), this E string is available in light, medium or heavy tension. Get strings you can count on. Order today.